"Ask Dave" - powered by SPECIES Nutrition - stars Dave Palumbo in a 30-minute forum where users will have the opportunity to ask Dave anything. 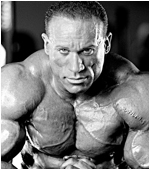 Dave has long helped legions of IFBB and NPC competitors realize their dreams of success in the gym and on the stage. 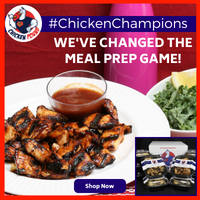 In addition, Dave has helped thousands of fitness enthusiasts achieve and maximize their muscle building and weight loss goals. 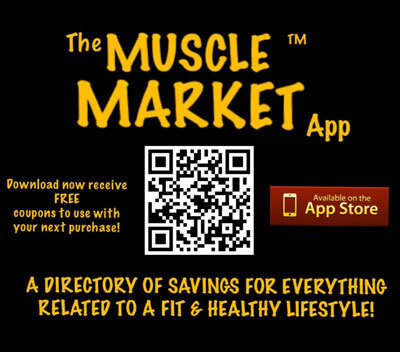 Everyone has questions about workout regimens, diet plans, current competitors, general health, etc. Dave is opening up the line to answering your toughest questions! You can ask your questions one of two ways. You can either tweet your questions using #askDave or ask your question here in the "Ask Dave" forum discussion on the Muscle Central forum on RXMuscle.com. Post your questions.......you'll get to see me answer them all LIVE on the air....... on the ASK DAVE TV SHOW! Dave, love what your doing with RX muscle! 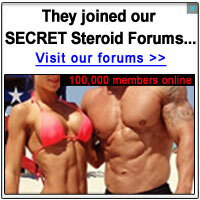 Hands down the leading source for all things bodybuilding, nutrition, science, and post contest analysis. 1. At what cumulative daily dose does caffeine become toxic to ones health? 2. Do you find any truth to Dan Duchaines theory of post AR receptor mediated growth? What's up Dave, you're the man. 2. Who's your dark horse to shake up the Arnold. p.s the idea of having another intelligent co-host changing each week could be cool. Dave, how confident are you Chris Aceto wil get Big Ramy in shape? And what do you base your opinion on? Haha... i see where you're going with this Honz!!! Although there's a special kind of story nobody knows that happened while we were in Dubai ...right Chris haha!!! Just wanted to thank those that have been asking questions here. This show, like all the work we do, is dedicated to you; and providing a forum for you to learn and be entertained ! Keep the questions coming here, and, on Twitter using #askDave. Dave, you have always been a big advocate of high fat low carb diets. 1. Why do low fat diets work so well for people, does it really matter if you so low carb or low fat? 2. How often should bodybuilder competitors change their injectable cycle compounds? 3. What are your thoughts on intra workout supplements (Plazma, Intra-MD)? 4. Can or should insulin be used without HGH? 5. Can you outline your suggested mass gain protocol for insulin? 6. What are your thoughts on peptides? Which ones do you think are worth the money for bodybuilders? 7. What kind of training do you recommend, high intensity (Dorian Yates style) or high volume? Last edited by juggies; 01-14-2015 at 03:51 PM. Dave, what are the long term potential side efffects of using an AI like Armidex when on HRT? It is after all a cancer drug? Keep the questions coming ! Show is at 6 pm (EST). Looking forward to it. Hey Dave! I've been dealing with estrogen dominance my whole life and its making prepping for my shows very difficult. With it comes major water retention and cellulite on the back of my legs and glutes. Any advice with training or diet would help so much!